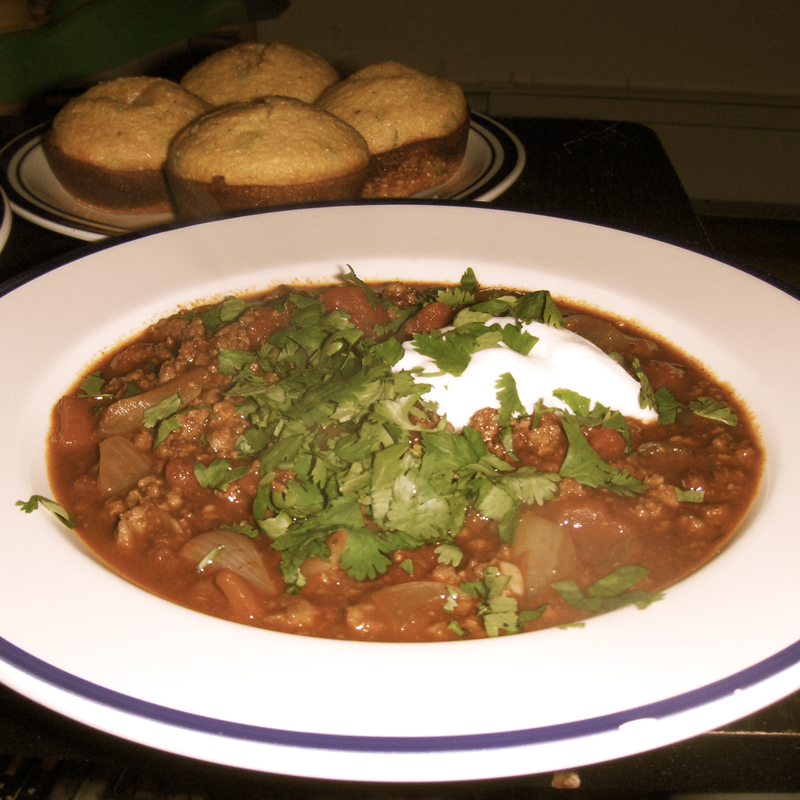 One of the best recipes I have ever discovered…this flavorful aromatic chili is the perfect fall dish to make at home or make for friends. When the secret ingredient is chocolate, how can you go wrong? And you know how most chili dishes taste better a few days later? This one tastes AMAZING and cooks in 20 minutes! Don't be fooled by the daunting mention of jalapenos, baking them removes their heat! 1. Cook beef in a large saucepan over medium-high heat until browned, stirring to crumble. Drain, if necessary, and return beef to pan. 2. Add onion and garlic to pan; cook 4 minutes or until tender. Add tomatoes and remaining ingredients; cover and simmer 7 minutes. 3. Serve immediately. 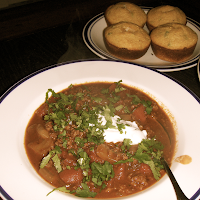 Top with sour cream and cilantro, if desired. 2. Lightly spoon self-rising cornmeal mix into measuring cup; level with a knife, and place in a large bowl. 3. Combine butttermilk, jalapeno peppers, oil and egg in a small bowl. Pour buttermilk mixture into cornmeal mixture. Stir just until combined. 4. Coat 12 miniature muffin cups with cooking spray; spoon batter evenly into cups. Bake at 425 for 17 minutes or until lightly browned. Remove from pans immediately; serve warm. 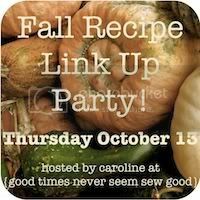 Tags: cooking, fall eating, ohmyyum, recipes, whats for dinner? Very cute blog. a must try recipe for me. a bit curious about the semisweet chocolate on here too. 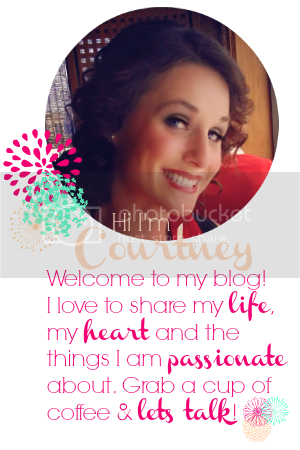 thanks for sharing courtney! Looks delicious! Will have to add it to my list to try as the weather cools off! I LOVE chili. But that cornbread sounds AMAZING! I really need to try this asap.